great but missing one thing! Would it be possible to add in options for setting your own colours? We use a set of colours to match a clients scheme, and would be a perfect app if we could set the colours it changes to? Ollie, You can add/change your own colors, or color lists in the AutoCAD options screen. Skip to 2 minutes for the options explanation. https://youtu.be/hvfSaBisZOw or is it something else you are missing in the settings ? 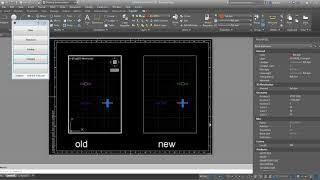 Ollie, &#13;&#10;&#13;&#10;You can add/change your own colors, or color lists in the AutoCAD options screen. &#13;&#10;Skip to 2 minutes for the options explanation. &#13;&#10;&#13;&#10;https://youtu.be/hvfSaBisZOw&#13;&#10;&#13;&#10;or is it something else you are missing in the settings ? That's very easy to use!